Realme (OPPO's increasingly popular sub-brand) has decided to release a tool enabling owners of its 2 Pro device to unlock their bootloaders. However, it involves rather more steps than the average adb-command process for many Android phones. Realme also claims that bootloader-unlocking in this case increases the risks to user personal data and security. Realme is a sub-brand of OPPO pitched at a market of younger people. Its 2 Pro phone is powered by the mid-tier Snapdragon 660 processor, and can offer up to 8GB of RAM with 128GB in fixed storage. With its waterdrop notch, its full-HD screen gets a screen-to-body ratio of nearly 91%. However, its users may have noticed that their options to gain root access and install ROMs other than the 2 Pro's ColorOS are limited. This situation has recently improved...somewhat. 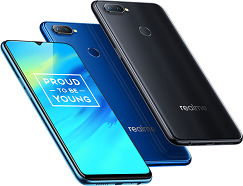 Now, owners of this phone who want increased control over its software can download an official tool to unlock their bootloaders (which Realme terms the 'in-depth test'). However, before they do so, they must apply to the OEM through the tool in order to do so. Once the user is informed that this submission has been accepted, they can proceed to unlock via fastboot. This is done with the 2 Pro connected to a PC or Mac running the also-mandatory fastboot tool. The user follows the instructions to do so on screen, using the volume buttons on the phone to select the necessary options. This relatively exhaustive process echoes that reportedly required of Xiaomi customers who wanted to unlock their own phones. This process, which included the need to make an application via an account, had been enforced by the OEM in 2018. In addition, Realme has included a disclaimer within the 'in-depth test' tool warning that bootloader unlocking on the 2 Pro may lead to privacy and security vulnerabilities, and to the inability to update ColorOS via OTA. All in all, it seems this sub-brand isn't at home to the concept of custom Android ROMs at all.